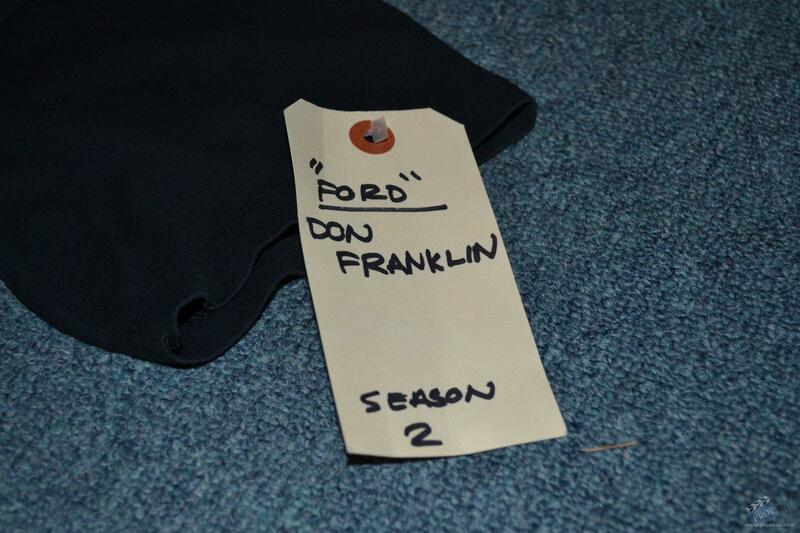 This black undershirt was worn by Commander Jonathan Ford who was played by actor Don Franklin during the 2nd season. 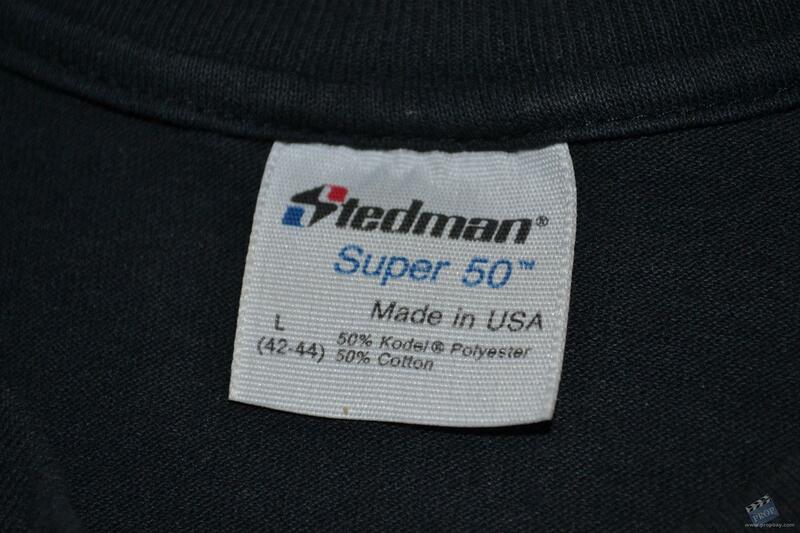 Made by Stedman, this undershirt is labelled as a super 50 design which is a size Large. 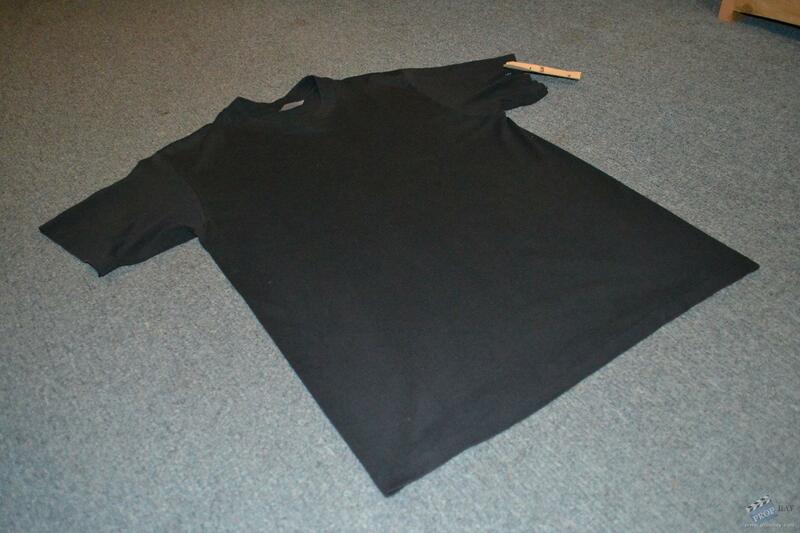 The undershirt comes with an auction tag which labels the shirt as being wore by Don Franklin in the 2nd season and was specifically wore in the episode titled "Blindside" where Commander Ford and a small shore party from Seaquest, are on a secret covert mission to rescue Anthony Piccolo from a Cuban government facility located in a jungle. All the members of the shore party are wearing these plain black undershirts. 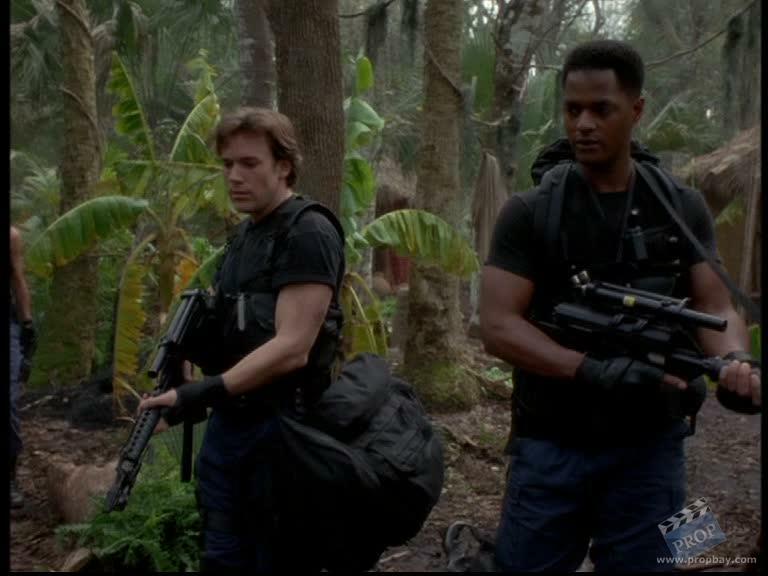 Also the black undershirt can be seen several times underneath his blue combat fatigues in several episodes in season 2. Added: 09-22-2013 - Viewed: 1554 times.